It’s funny because it’s kind of true. But beyond that: I studied engineering in school and I’ve had a long obsession with random and pseudorandom number generation. So, this comic is basically making fun of me, personally, in the same way that my wife does. Needless to say, I love it. 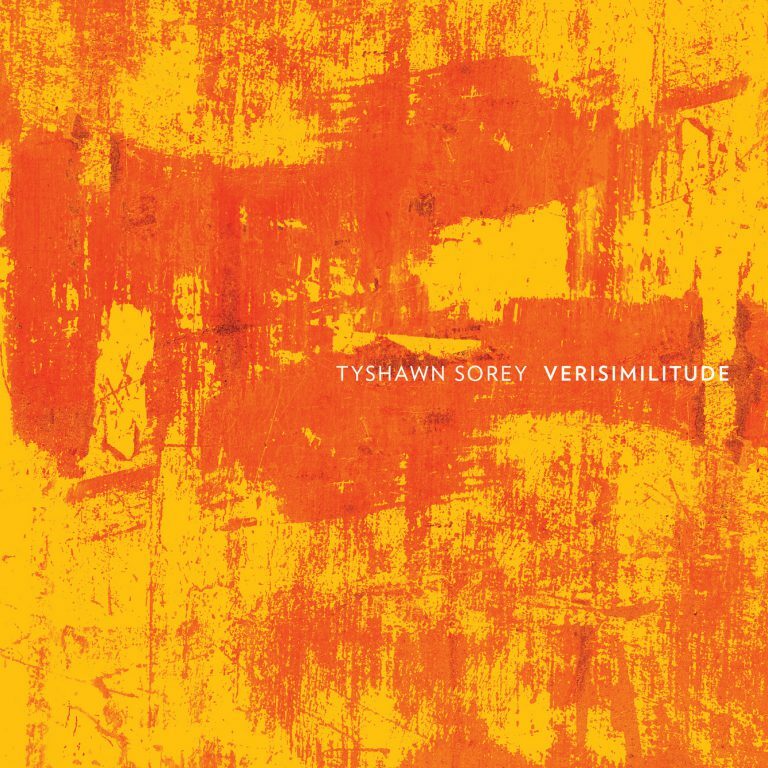 Compared with The Inner Spectrum of Variables, Sorey’s epic ensemble work from 2016, Verisimilitude is more contained, played only by a trio: Chris Tordini (bass), Cory Smythe (piano) and Sorey himself (drums). It isn’t a jazz piano trio. The five-minute opening, “Cascade in Slow Motion,” is conventional enough in its contemplative manner — or you could convince yourself such, at least. But the more ambitious tracks depart starkly from the piano trio format, as you’d hope. The 18-minute “Obsidian” starts with sounds that don’t seem like piano, bass, or drums. Instead, there’s a ghostly ringing created by a bow — either bass harmonics, cymbals, or both. “Obsidian” is a spacious, patient piece, with the drum kit often limited to small taps. Sorey introduces wood blocks and metal chimes as well — including a nice passage around the 7-minute mark, accompanied only by piano. Later on, though, “Obsidian” gets stormy, recalling the steel sounds of Fieldwork, the trio of Sorey (drums), Vijay Iyer (piano), and Steve Lehman (sax). “Obsidian” is loud but purposeful, with a stern finale that’s more regal than frenzied. And then there’s the 30-minute “Algid November.” The sound is again sparse at first, unfolding in tiny motions surrounded by savory emptiness, and eventually building into a probing improvised segment that could be considered “normal” for a modern jazz trio. It’s quite nice. When “Algid November” gets torrid, building off a sour-toned, low-register piano riff, it becomes a percussion showcase, built on a sour-toned, low-register piano riff and long drum rolls and cymbal waves, wood blocks, and one very long, cathartic gong crash that completes the segment, plunging us back into silence momentarily. It’s never a frenzied piece, but Tordani keeps the energy level elevated with a wiry bass ramble, pulsing around a small range of notes. There’s plenty more to come after that: slow bells and quieter bass, like calm sunshine after a rainstorm, but with a mood that’s still unsettled. The whole album draws from Sorey’s work in new classical music, of course, but there’s an especially strong dose of “classical” in the brooding “Flowers for Prashant,” which combines images of desolation and moments of spare beauty. It’s still fun to watch Sorey go nuts in a jazz context, of course. But his path into composing has been gratifying to follow as well, from NYC downtown jazz into these more contemplative projects. He’s building a fascinating career. I mentioned being in Brooklyn recently. It was part of a family-related east-coast trip — a rare visit to New York and Boston without any time to see music. Or so I thought. On a rainy night in Boston’s Back Bay neighborhood, walking back to the hotel, we passed Virtuosity, a music shop. 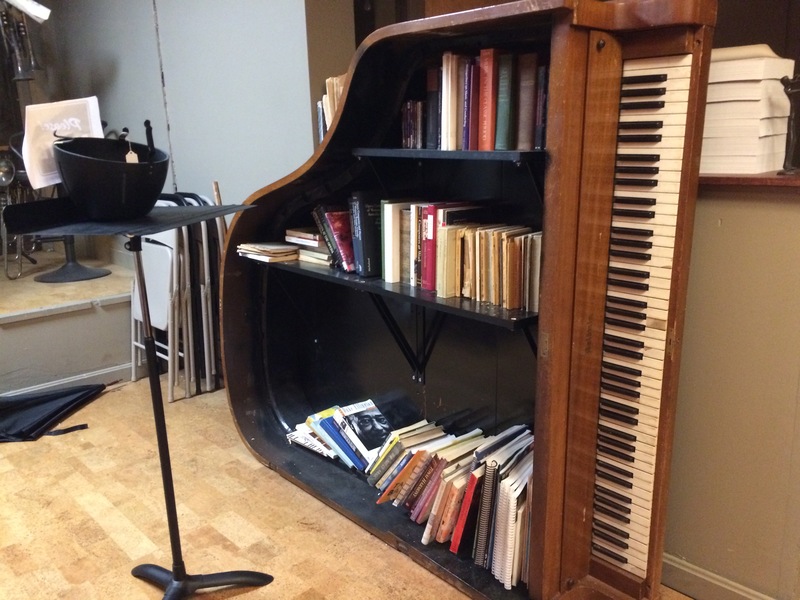 A serious music shop with a wall full of horns, a bookshelf built from an old piano, and a counter area stuffed with paraphernalia for woodwinds and brass instruments. The store is blocks away from the Boston Symphony, and of course it’s surrounded by colleges, so it’s got a built-in local clientele. Turns out, I’d stumbled onto a regular Tuesday night open jam. It was open to the public, with donations requested for the band and the free coffee and tea — but I was the only pure audience member, with the other seven or eight people being there to play, just for fun. They didn’t pay me much mind as they cycled through several pieces out of ’50s and ’60s songbooks. Each song was played by a quintet: two horns, keyboards, bass, and drums, with guys (they were all men) taking solos in that order, ending with everyone trading fours with the drums. It was a cozy way to spend a rainy evening. This wasn’t a “show” so much as a friendly venue to practice, hone, and experiment. They talked about each piece beforehand — how many bars of this or that to play, for instance — and they tried a few experiments. Trading eights with the drummer worked nicely and was a change of pace. Trading sevens, something one of the drummers suggested in the middle of a song, had more mixed results, as the soloists sometimes stumbled through. Some solos were clearly better than others, but nobody was calling that out. The idea was simply to play, to create spontaneous music in a group working toward a common cause — something that can’t be experienced any other way. I was glad to be welcomed into this world for a short hour. 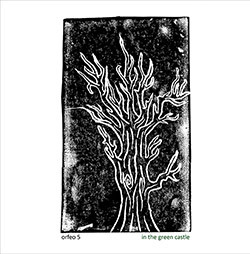 Orfeo 5’s blend of jazz instruments and electronics builds on a sense of mystery, even on the tracks that display outright grooves. The results land somewhere in a far corner of improvised jazz, bordering noise, electronica, and psychedelia. But the mysterious sound isn’t just in my head. Most tracks on In the Green Castle are backgrounded by a wall of electronics and samples from Shaun Blezard. He shapes the mood of most pieces, whether it’s through the orchestral waves on the title track, or a steady, crunchy beat on “In a Flower’s Radiance, Part 2,” or just the added dimension of sampled bandmates played back through distortion and echo. Other tracks feature flute rather than saxophone, creating an air of inscrutable stillness. The title track pits a bright soloing saxophone, maybe a little too bright, over a slightly crunchy electronics loop, with some piano spatters thrown in for good measure. It’s a good piece, and I like the sax playing a lot, but sometimes it feels like it hobbles the mood, interrupting the silvery sheen created by the other instruments. I prefer the sax’s percolating sound on “And Miles Away I Saw,” where it bounces off a quiet, patient bassline (Matt Bourne on cello) for a calmly free vibe. “Transformed by Fire” is where the band really gets their jazz on. Blezard sets down a beat that inspires some stern piano chords (Bourne again). It all builds into a midtempo jam, eventually dissolving into an unaccompanied piano passage with a deep, classical-recital jazz sound. “Fearful Beauty,” plays out like a jazz ballad, with sax leading the way over mournfully bowed cello. Vocals and spoken word are part of the Orfeo 5 schematic as well, and they take a leading role on “A Prayer to the Sea,” where Mary Oliver, possibly with Blezard’s help, mixes children’s voices, spoken vocals, and some artistic singing and poetry. Despite the name, Orfeo 5 apparently started out as a duo, just Blezard and saxophonist Keith Jafrate. I prefer this larger, fleshed-out version. There are still soloing moments to tickle your brain’s jazz center, but there are also passages where it’s a little difficult to tell which instrument is making which sound. Those moments create some of the album’s most intriguing heights. Aquarius Records was a treasure of the Mission District, a home for the freakish, the experimental, the noisy, and the obscure, but its jazz section was rather thin. When I saw a CD with Peter Brotzmann’s name on it, I took the dive. 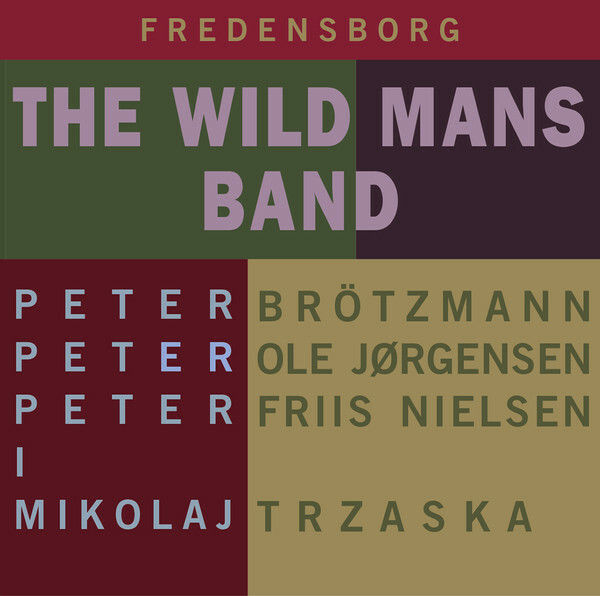 I figured The Wild Mans Band (Ninth World, 1998) to be a one-off, with three Peters — Peter Brotzmann (clarinet/sax), Peter Friis Nielsen (bass), and and Peter Ole Jørgensen (drums) — joined by Johannes Bauer (trombone). Turns out, it’s been an ongoing series of albums on the Danish label Ninth World Music, with the core trio joined by a different guest each time. 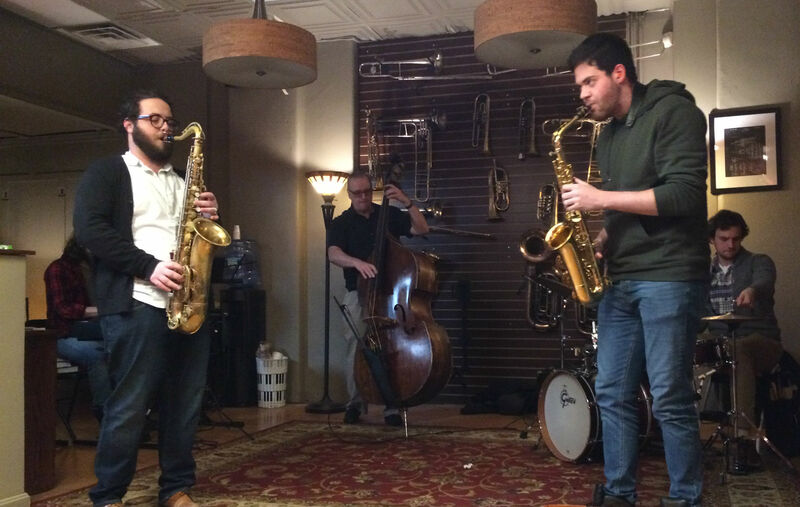 The latest installment, Fredensborg, adds saxophonist Mikolaj Trazaska to the three Peters. The 25-minute “Cranberry Trail” is a terrific extended piece, opening the album with the long-burst energy blast that you’d hope for. Brotzmann and Trazaska trade barbs while the rhythm section keeps the kettle percolating. I love the slower middle segment, where Nielsen’s amped-up bass bubbles up. It’s a great sound against Brotzmann’s raspy long tones, and then Trazaska comes in on the high register to flesh out the picture. Great passage. “Black Orb Riders” is a moderately paced workout that’s less of a blur, opening more room to hear Nielsen’s dense bass work, and “Mount Mush-Room” ends the album with an exhilarating sprint. But I want to point out “Spiders of Time,” which features a placid flute-bass duet contrasted by abrasive shrieks from Brotzmann. It’s funny, but Brotzmann eventually merges into the more placid mood. Unsetting drumming by Jørgensen preserves a bit of an edge, giving Brotzmann an opening to rebuild the aggressive mood from a darker angle that fits more organically — in other words, they move from a place of contrast into a cohesive mood and a satisfying piece. The Wild Mans series includes an installment with Mats Gustafsson (Three Rocks and a Pine, 1999) and one with just the core trio (Live København 2009, released in 2015). Guitarist Nels Cline has an earlier Blue Note release, Lovers, but Currents, Constellations feels like his first “official” Blue Note record. Maybe it’s because Lovers was such a specific project — mostly covers, many from the outer radii of jazz (Annette Peacock, Jimmy Giuffre) and at least one from another orbit entirely (Sonic Youth). Maybe it’s just the album artwork, which reminds me of Bobby Hutcherson’s final album, Enjoy the View. Or maybe it’s because this is a working band, a quartet performing Cline originals. It’s also got a jazz feel — which has always been part of Cline’s playbook but usually gets alternated with other musical influences, as on the Nels Cline Singers albums. That’s not to say Cline has gone traditional. His jazz comes with a spiky touch — glittering gems with pointy edges. Take “Imperfect 10,” the preview single that was available a few weeks ago. It’s relatable despite the time signature, and you can tell they had fun playing it — a good track to make a video out of. The quartet pairs Cline with guitarist Julian Lage and a sharp rhythm section of Scott Colley (bass) and Tom Rainey (drums). The music includes nice flurries of adept guitar fretwork, but it isn’t a “guitar hero” album. Everything is done in service to the overall mood, which is often swingy and driven. “Furtive” opens the album with a sprint, a rapid-fire Colley background as Rainey sets a snappy mood and both guitarists dive quickly into improvising mode. “Amenette” opens with a burst of ’60s-style progressive jazz that leads into some cool-handed soloing with a wide-open feel but still one foot in the jazz realm. “Swing Ghost ’59” touches on western-style swing, a nod even further back than you’d expect but an understandable move given Cline’s broad palette. It breaks down into a darting group improv — so, the song starts with one of the album’s most “inside” moods and hits on its most “outside” moments. “As Close As That” is a slow one, not quite a ballad. Its creeping 6/8 melody sprinkles moments of darkness but leads to a charming ascending-chord sequence. “River Mouth” starts out placid and pleasing, then leads into a springy and airy mood. For the jazz fan that has trouble with Cline’s pointy edges, this track would be a good place to start. On April 6, I was in Brooklyn, walking the streets of Park Slope. Didn’t realize Cecil Taylor had died the previous day, quite close to there. The New York Times ran a fitting and substantial obituary. Nate Chinen wrote one for NPR, making note of Taylor’s 2016 collaboration with dancer Min Tanaka. And I was intrigued to learn that Taylor made at least two appearances on Marian McPartland’s NPR show, “Piano Jazz.” Their rapport is downright charming. Cecil Taylor, 2008. Source: Wikimedia. Taylor is a flag bearer for avant-garde jazz, of course, but his sound was built on the jazz tradition. My wife, after a few years of hearing the clicks and scrapes of free improv on my stereo, once walked in relieved to hear Cecil Taylor — something that, to her ears, resembled “normal” music. I had to break it to her that this was considered difficult avant-garde stuff, but the point is that she could hear the jazz in it. We writers lazily compare any “outside” piano to Cecil Taylor, but Taylor’s style and language are unique and easily recognizable. At one point in that “Piano Jazz” installment, Taylor describes creating his own scales early on, because he didn’t want to practice the traditional ones. McPartland has him play one of those scales as an example, and it sounds like Cecil. He goes on to play some chord clusters as well. Then there’s the precision. Listeners notice it more when Taylor slaps the keyboard with a forearm, but for me, his ten-fingered passages avalanches are where the real magic happens, where he starts rumbling away but never loses that Swiss-watch precision. That’s Cecil Taylor speaking his language to you. I’ve got Air Above Mountains on the turntable now, a solo album so richly steeped in that language, and I’m feeling so grateful that I got to see Taylor perform twice.